Kuwait owns and manages approximately five thousand gas stations across Europe. Under the not-so-subtle company name 'Q8', these stations began as an investment to secure a market for the country's oil export, but their role continued to grow as they became a key player in funding and lobbying against the occupation of Kuwait prior to the Gulf War. 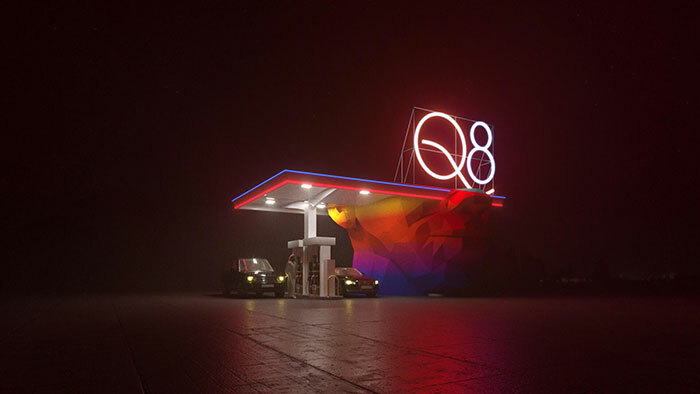 As such Q8 is no longer a series of serving stations across the European landscape, but a roadmap for the small nation's political and economic autonomy. 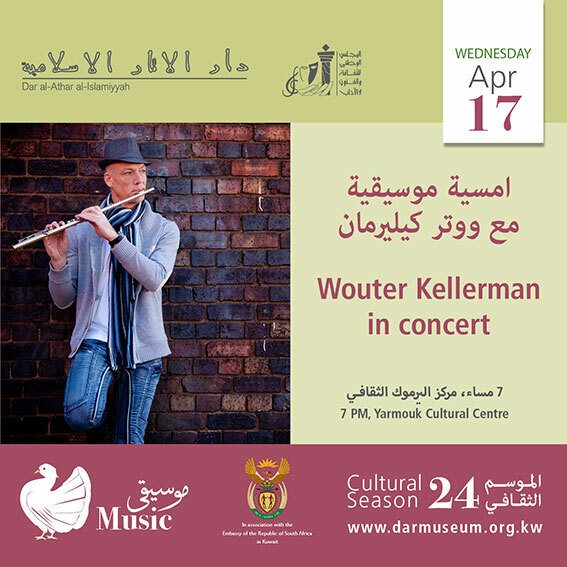 This exhibition tells the story of the stations that act as embassies across Europe and their role in branding Kuwait abroad in the years to come. Civil Architecture is a cultural practice preoccupied with the making of buildings and books about them. The work of Civil asks what it means to produce architecture in a decidedly un-civil time, presenting a new civic character for a global condition. Since its founding by Hamed Bukhamseen and Ali Karimi, the practice has attracted a strong following for their provocative works and their offer of an alternate future for a nascent Middle East. 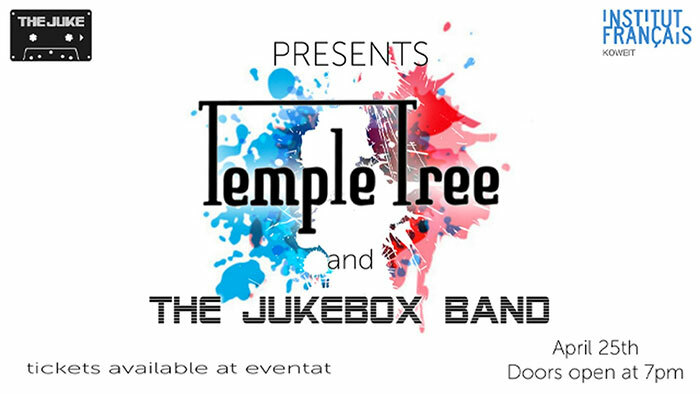 Kick start your weekend the right way and join us at the French Institute and enjoy a night of great live music featuring Temple Tree and The Jukebox Band. 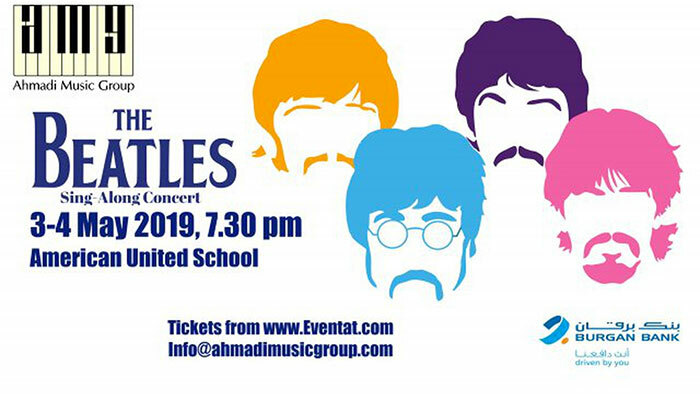 Join Ahmadi Music Group and the Messila Beach Blues Band to sing the greatest hits of the Fab Four. Wear the costume if you have it! Luke Skywalker in the Return of the Jedi said "Let go of hate". Lets be honest it's hard not to react to all the tough times and be nice 24/7. Hate is heavy and we at Goodwill Tribe believe that music and rhythmic words connects souls and helps us let go of negative energy. 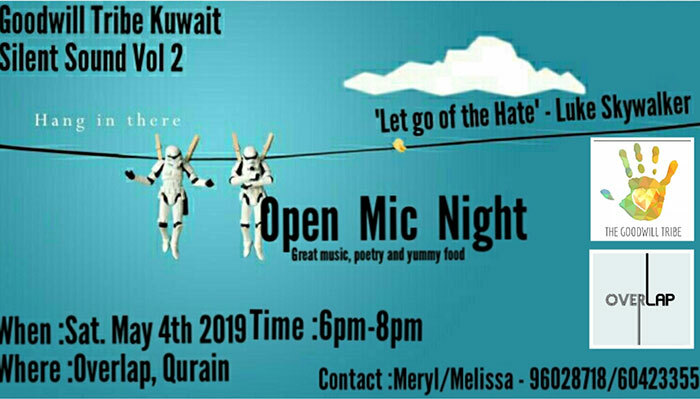 For our next silent Sound event, we will be mixing the sound of poetry and music and open up the stage for all the people in Kuwait. So let's come together, chill, have fun, indulge in some yummy food, participate and share your voice. P.S. For those who are interested to participate registration will open at 5.30 pm. We will have 20 slots. 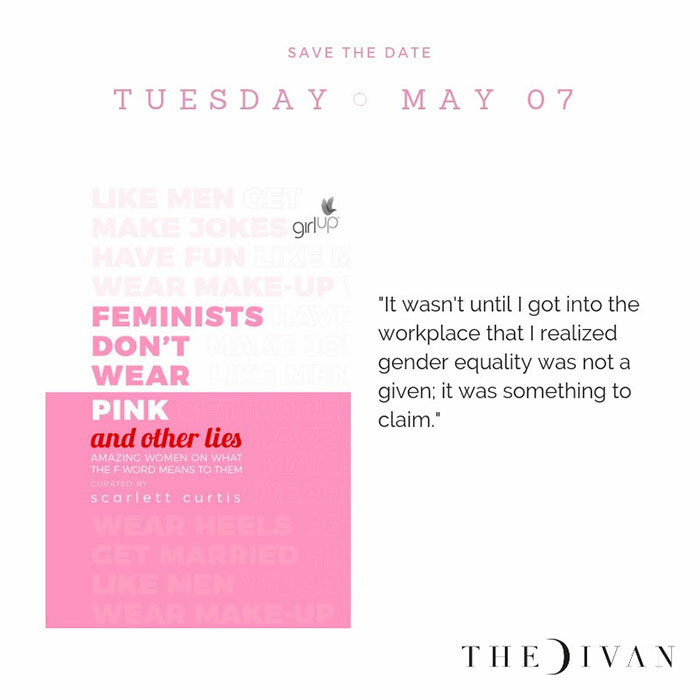 The Divan's next read is a collection of essays and experiences written by a variety of female voices dwelling on their personal relationships with feminism. Read the book and then join The Divan to discuss the essays and what the F-word means to you. A creative space for design and innovation in textile arts. 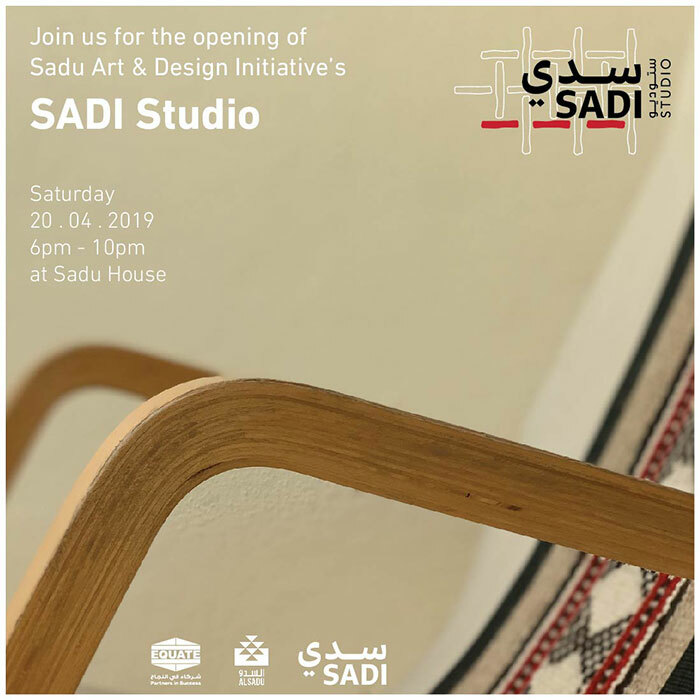 It is an extension of the Sadi Art and Design initiative program, which began in 2016 with the aim of encouraging creativity and innovation in the field of textiles, drawing inspiration from Kuwait’s colorful and rich weaving heritage. For the first time in Kuwait, at the renowned Games & Media Entertainment Expo, A New World: intimate music from FINAL FANTASY features your favorite character themes, battle medleys, and more! The New World Players versatile and dynamic chamber ensemble, and acclaimed piano soloist Benyamin Nuss perform FINAL FANTASY music from throughout the game series, conducted by Eric Roth. 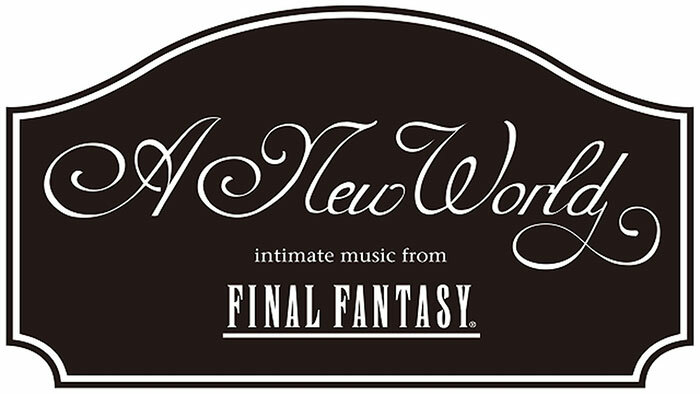 An exclusive, officially licensed production with legendary game developer SQUARE ENIX, these A New World concerts will feature our freshest arrangements and beloved FINAL FANTASY classics! 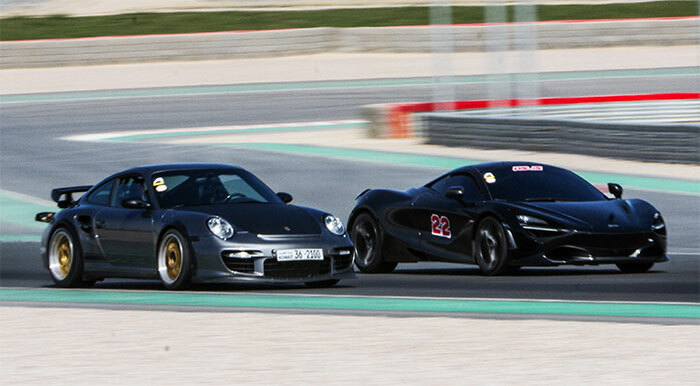 Join us for a day filled with action on April 19th from 3PM – 10 PM. Access to the grandstand, kids zone and food trucks will be available. Entry free of charge, don’t miss out. The GX2019 cosplay contest will take place at the Fairgrounds on Thursday April 18 at 9pm. Join us this Thursday for the closing event of Sami Mohammad's exhibition and for an artist talk about his work and artistic direction. 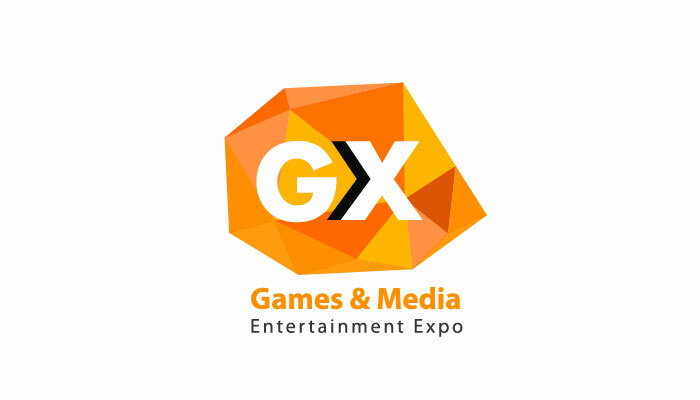 The 6th annual Games & Media Entertainment Expo will be held at the Kuwait International Fairgrounds Hall 4A from April 18-20. 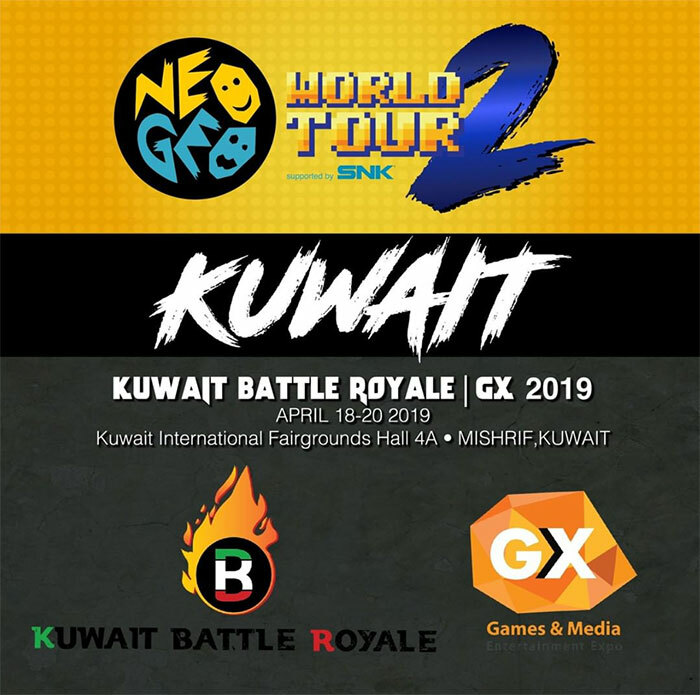 Neo Geo World Tour is coming to Kuwait Battle Royale / GX 2019 in Kuwait in April 2019! Featured tournaments include The King of Fighters '98 and XIV. The winners of the KOF '98 and XIV tournaments will represent the Neo Geo World Tour - Kuwait Stop to compete in the Global Finals in 2019. Metal Slug Score Attack (Stage 1) before and after any of the above tournaments start/finish. *KOF98 and KOF XIV qualifier spots for the global finals in this stop are restricted to only residents of the Middle East and Africa region. Everybody is welcome to participate in all tournaments though. **Valid Kuwait Battle Royale / GX 2019 entry ticket is necessary to participate and not included in the registration! 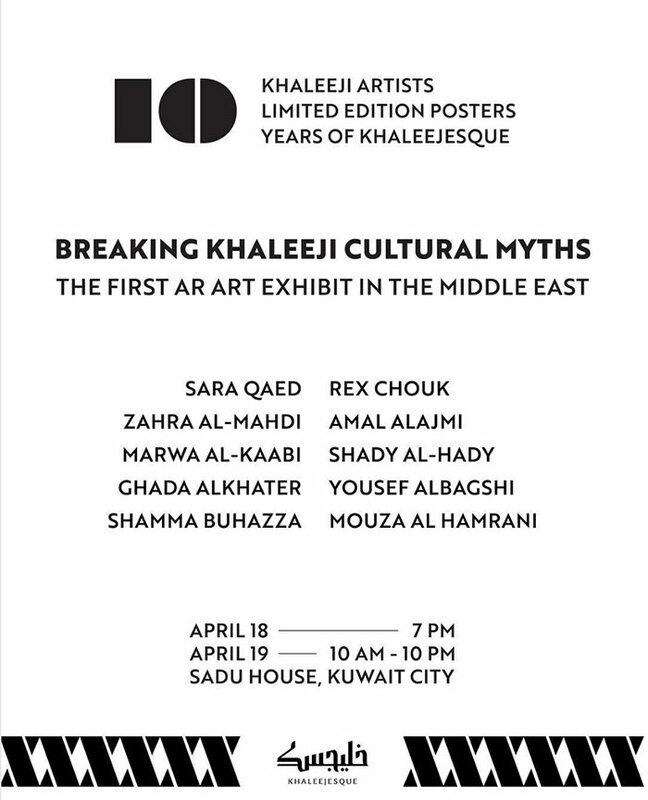 Join us as we celebrate Khaleejesque's 10 year anniversary where we'll unveil our new editorial direction and showcase our first AR art exhibit "Breaking Khaleeji Cultural Myths", featuring a collection of 10 limited edition posters by 10 creatives from the Arab Gulf. 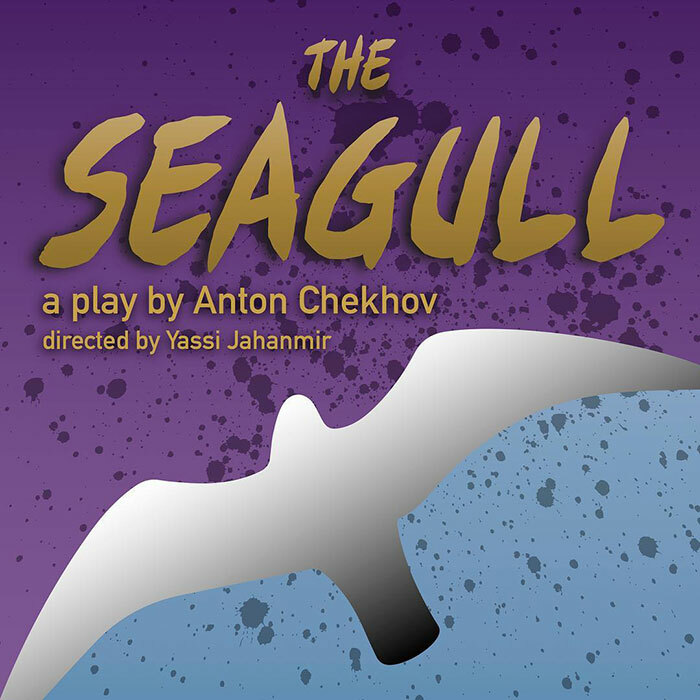 The Seagull is a powerful, classic play written in 1895 by famed Russian playwright, Anton Chekhov. 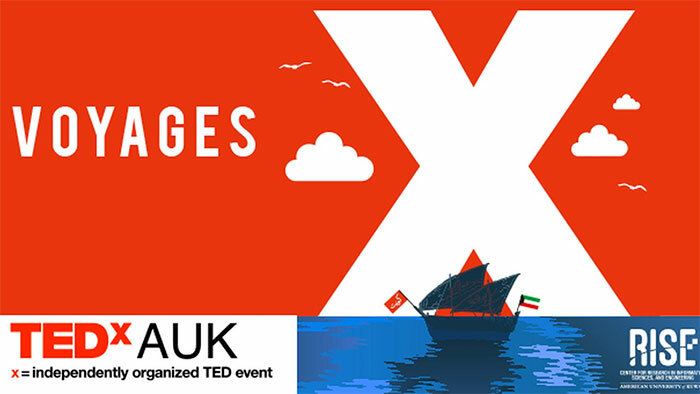 Acted by AUK students, and directed by Assistant Professor of Drama, Yassi Jahanmir, The Seagull provides an emotional reflection on daily life and the big questions that dwell beneath our lived experiences. By challenging the definitions of life, love, and art, The Seagull continues to have relevance by asking audience to consider the human existence. 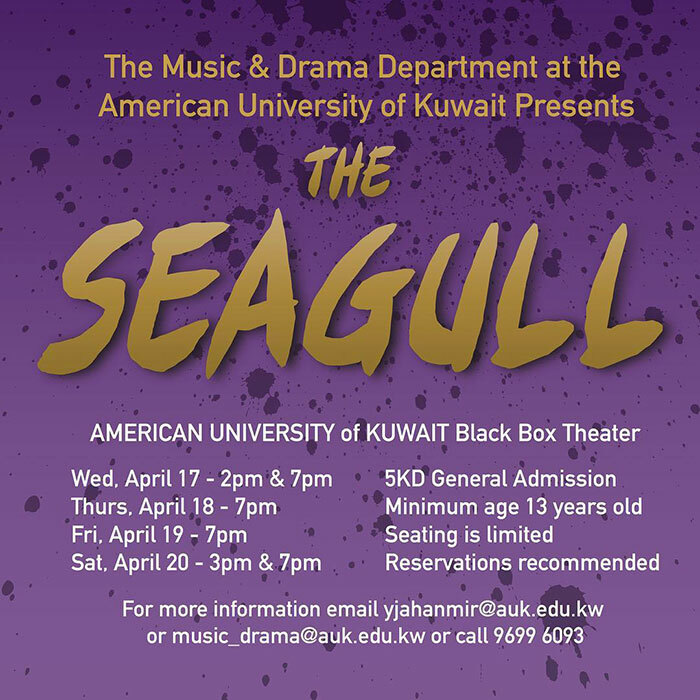 The Seagull is an affecting and tragic show that will run from April 17-20, 2019 in AUK’s Black Box Theater. Show Synopsis: The Seagull takes place on a country estate, where family and friends gather to share their art, play some games, and revel in “divine country boredom.” Love is in the air, but there are dark clouds in grey skies: no one is happy, because everyone seems to love someone who doesn’t love them back. As they discuss life, love, and art, the characters shed light onto the ubiquitous melancholia of the human existence and question what it really means to be alive. Anton Chekhov (1860-1904) was a medical doctor by trade, but is most remembered for his short stories and plays. He wrote five major plays, the first being the The Seagull, that are famous for their startling realism. The plays were originally directed by Konstantin Stanislavsky, the “father” of modern acting, and Chekhov’s literary ability to capture quotidian habit, subtle subtext, and melancholic pining helped to shape realistic acting as we know it today. Director Biography: Yassi is an Assistant Professor of Drama at the American University of Kuwait and has previously directed in NYC, California, and Arizona. Some favorite directing projects include: The Love for Three Oranges, West Side Story, Three Sisters Who Are Not Sisters, Come and Go, Venus, and The Servant of Two Masters. She holds a PhD in Theater and Performance Studies from the University of California, Santa Barbara.